Some thoughts from our business director Amanda on working in a regional area, starting a design studio and her plans for the future. After living and working in Melbourne for many years, how have you found the transition to Newcastle, both personally and professionally? Professionally it was a bit daunting at first. There isn’t the shear volume of potential clients in Newcastle like there is in Melbourne. Getting your name out there is tricky, as businesses in smaller places put a lot of weight on word of mouth referrals. You need to be patient as it takes time to build up your reputation. We were lucky in that previous Melbourne clients were nothing but supportive of the move and many have stuck with us even now, three years down the track. I jump on my phone with my morning coffee to check any overnight emails, social media and read the news before heading to the office by nine. As Scott and I have evolved our roles within the business, I now spend the first full half of the day on meetings, scheduling, accounts, proposals and emails. After lunch is when I’ll aim to get into any creative work – this can be helping with any overflow or actioning our latest brand roll-out. Each day ends consistently at five. After working in bigger agencies where it seemed competitive as to who could stay the latest, I’m very aware of leaving on time. Occasionally if there are deadlines looming we will work after hours, but I like to avoid that as much as possible. 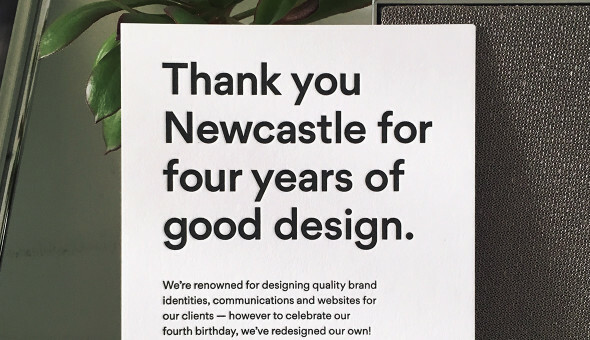 What is the creative community like in Newcastle? Really blossoming which is fantastic! There a lot of talented people here doing amazing things. Newcastle has one of the highest retention rates of any place in Australia. This is of great benefit to the area because while people often leave to experience other (bigger) cities, they then bring that experience back home with them when they return. Our studio doesn’t have a typical client and we tend to attract from a variety of sectors which I have always enjoyed. In saying this, quite often their problems are similar e.g. businesses evolving internally with new technology having a bigger influence on processes. In recent years the studio has attracted a lot of not-for-profit organisations which has been really rewarding. We are first and foremost a branding studio and that is at the core of everything we do. Generally our projects begin with a client requiring a new brand, or a rebrand in the case where a business is evolving. We like to work closely with our clients, spending time getting to know their business first before jumping into creative. Once an identity is finalised we roll-out to any number of touchpoints be-it business cards, stationery, web or environmental design. Visually we are big believers in less and more and find a minimal approach allows for the clearest communication. Which part of the creative process do you enjoy the most? Presenting the concept to the client is always stressful – but when they love the work and have a big smile it always makes my day. We have an initial collaborative approach with clients and like to involve them in the strategic process. I find working this way is really beneficial as relationship wise we form a team. This also means when we unveil the concept, the client already has a general idea of what the identity is going to look like so there is no ‘presentation shock’. By getting clients more involved, they take more ownership over the brand as truly theirs which is great! 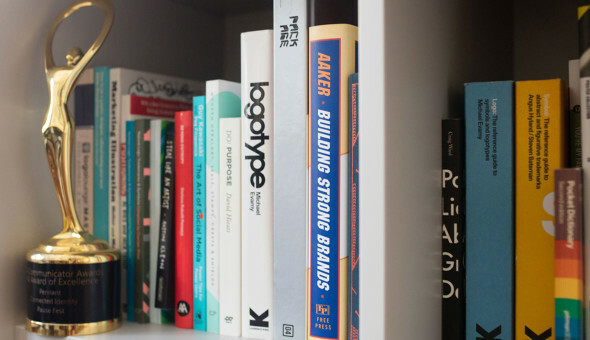 What advice would you give to someone starting a design studio? While some manage to pull it off, I would advise against attempting to start a studio straight off the back of study or abruptly leaving a full-time position. The way I got to where I am now was in small transitional steps. I began freelancing after hours until I could no longer manage both it and my day job. After this I began a part-time position and eventually moved on to doing my own thing full-time. Even then I still occasionally took contract jobs or a bit of freelance before I was in a really secure place to start the studio. This was great for me as it’s low stress, low risk, and gives you opportunities to keep earning some steady cash whilst setting yourself up and gaining regular clients. 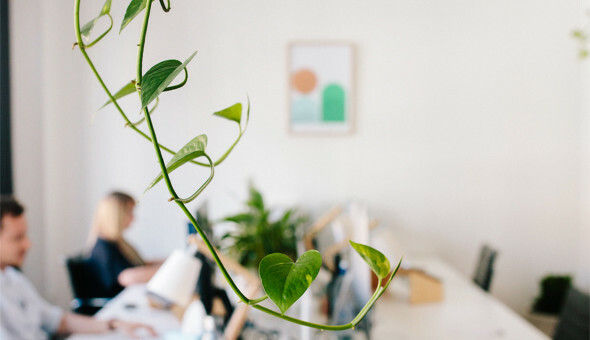 Once you’re set up, keep your overheads low by setting up a home office – although if you don’t trust yourself to get things done at home, co-working spaces are a great alternative. Plan ahead. You need to be constantly thinking about the future and looking for new clients to keep the work flowing. Aim to transition your regular clients to retainers to give your business stability. Make sure your website and social media are regularly updated – leaving these jobs until the work starts to dry up will only give you a headache. Lastly, don’t neglect the admin. 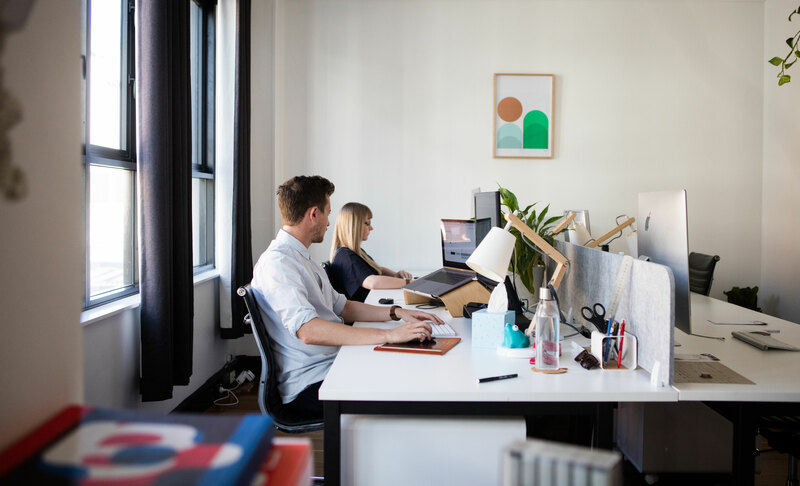 Xero is great if you’re looking for some easy to use accounting software and helps you keep an eye on those monthly budgets. Also, figure out what those budgets are! There are lots of easy to find calculators out there to help determine how much and how many hours you need to be charging. If you prefer the printed word, the Graphic Artists Guild Handbook: Pricing & Ethical Guidelines is a great resource. Currently the biggest priority is moving into a new studio space by the end of the year. When we established the studio in Newcastle, we started in a smaller space while we got ourselves settled but have quickly outgrown it. Currently we have two team members, with the studio networking with quite a few external creatives on a project-by-project basis. We intend to keep this model moving forward as it allows for the greatest flexibility on projects and personally it makes for my ideal studio balance. Originally published on the Creative Women’s Circle July 2016.